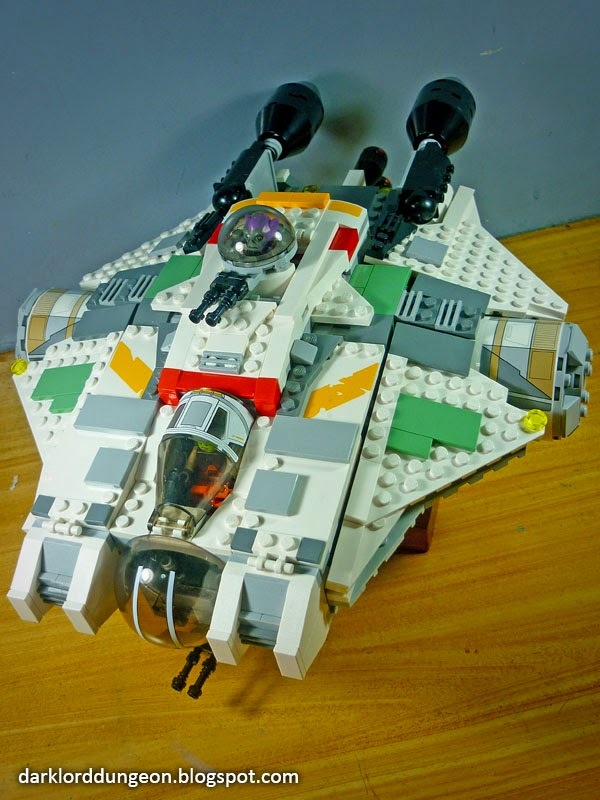 Presenting the Lego version of the Ghost from the Star Wars Rebels series. To the uninitiated, this is the primary freighter used by the main cast of the spanking new Star Wars Rebels animated series. It is a modified VCX-100 light freighter, made by the same company that created the Millennium Falcon - . Corellian Engineering Corporation - which explains some of the similarities the Ghost may have with the Millennium Falcon particularly the dorsal mounted cannon and the two docking rings on starboard and port sides. Aaaannd that, that's about it. The VCX-100 actually has more in common with a Boeing B-17 Flying Fortress from World War II. And you can see the dual cockpits and the forward, dorsal and aft guns. The only things missing would be the waist and belly guns. Thor, Odinson, is back as the Thor we all know and love - kinda. Having been deemed "unworthy" to raise the Marvel 616 dimension Mjolnir, Thor is now wielding the Mjolnir of a psychotic duplicate (Thorr - double 'r') from another dimension. 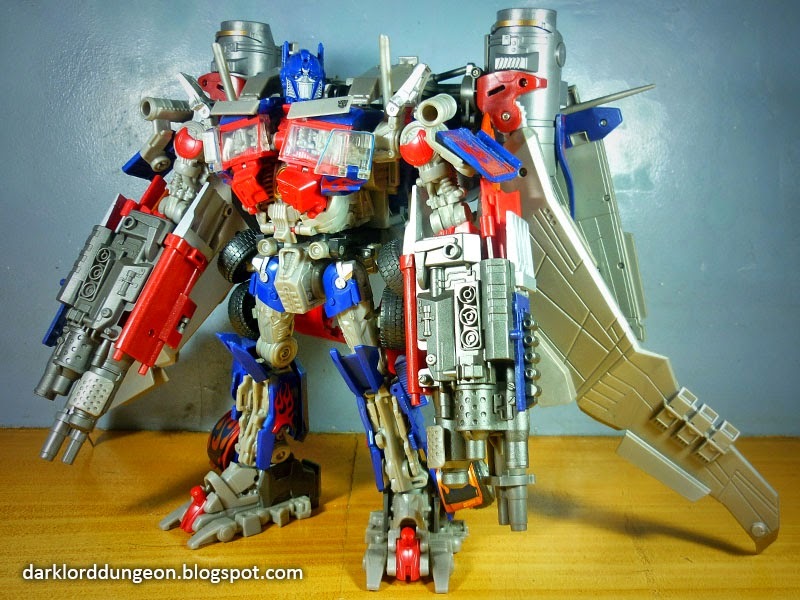 Presenting the FWI-4 (Fans Want It - 4) Optimus Prime Jetwing Upgrade Kit. In a nutshell this is the movie accurate jetwing used by Optimus Prime in Transformers Dark of the Moon. A movie later, in Transformers Age of Extinction, this is the jetwing that had fans (ex-fans?) screaming "Hey Prime! If you can fly what the f*$k did you need that jetwing for?" But what can you expect from someone who built a movie around the question "How much is my special effects budget for explosions?" 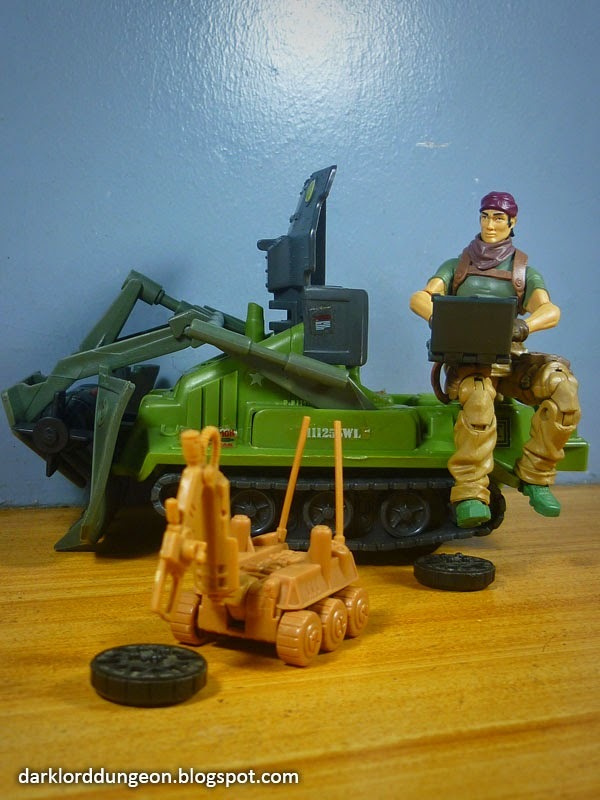 Presenting the GI Joe Bomb Disposal Vehicle - under the tender ministrations of Tunnel Rat. The GI Joe Bomb Disposal Vehicle is one of what we in the Dungeon like to call "mini-rig" vehicles of the GI Joe team since they were support vehicles. There were two that we were aware of in 1985, the Bomb Disposal Vehicle and the Weapons Transport. At one time we had both vehicles in the Dungeon but they disappeared over the years and we only recently reacquired the Bomb Disposal Vehicle. This is actually THE FIRST GI Joe vehicle in the Dungeon in the same way that the Star Wars Mini-Rig INT-4 Interceptor was the first STAR WARS vehicle in the Dungeon. So as with the INT-4, this vehicle holds a special place in our hearts. Presenting the Master Chief as he appears in Halo 2 from McFarlane Toys. 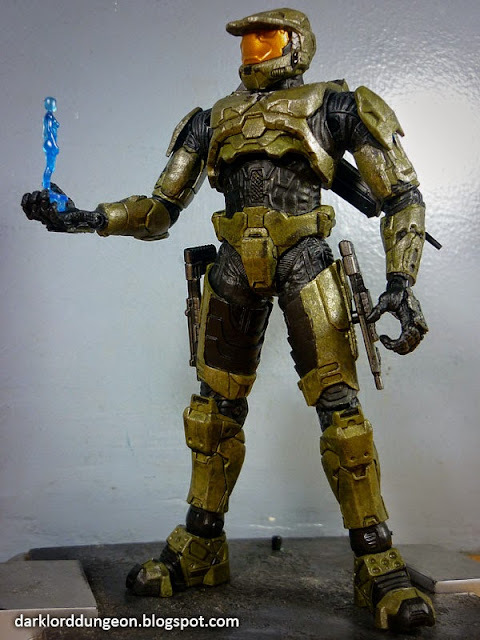 Okay before you get your hopes up, NO, THIS FIGURE DOES NOT COME WITH A CORTANA. Cortana is from the Mega Bloks HALO UNSC Cryo set. Just occurred to us that we never finished HALO 2 on the X-Box. And it wasn't because we weren't good enough, it's just that we got bored every time we had to slip into the guise of the Arbiter - which we hated. We were here to play Spartans after all.